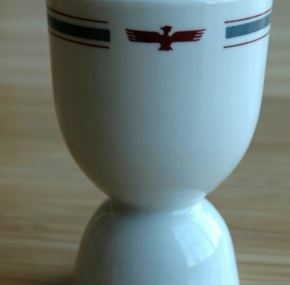 Large egg cup in the older pattern American President Line’s china dating from the 1950’s. 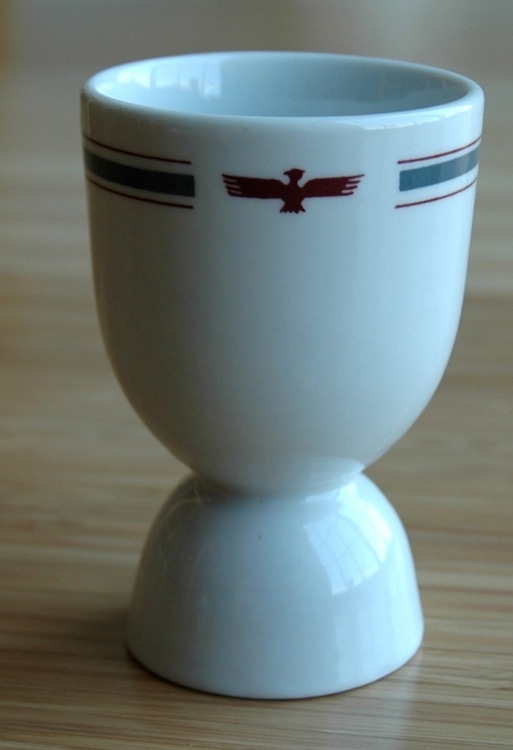 These so-called “double” egg cups have always intrigued me. What type of egg was being used here? Ostrich? I am sure someone who has used one and enjoys soft boiled eggs more than I do can explain them so drop me a line if you know how these were used. In very good condition with no chips, cracks, or crazing. Measures about 4” tall.